Ariel Spires, Esq. 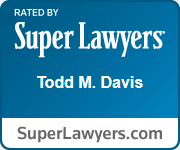 is an associate attorney at Davis Law Firm. Prior to planting roots at Davis Law Firm, Ariel practiced at a small litigation firm in Jacksonville, Florida. Ariel currently specializes in insurance coverage and business litigation. Hannah T. Anderson, Esq.is an associate attorney at Davis Law Firm specializing in insurance coverage and business litigation. Prior to joining Davis Law Firm, Hannah defended public entities, specializing in labor and employment disputes. Joshua W. Walters, Esq.is an associate attorney at Davis Law Firm. Before joining the firm, Joshua graduated from the University of Florida Levin College of Law where he participated on a law journal, competed on a national moot court team, and served on numerous executive boards. Joshua currently specializes in insurance coverage and business litigation. Christopher J. Brochu, Esq. is an associate attorney at Davis Law Firm. While attending Florida Coastal School of Law, Chris worked for the Deputy General Counsel of a Jacksonville-area publicly traded company. Chris currently specializes in consumer protection, sports sponsorship and representation, business litigation, and personal injury.